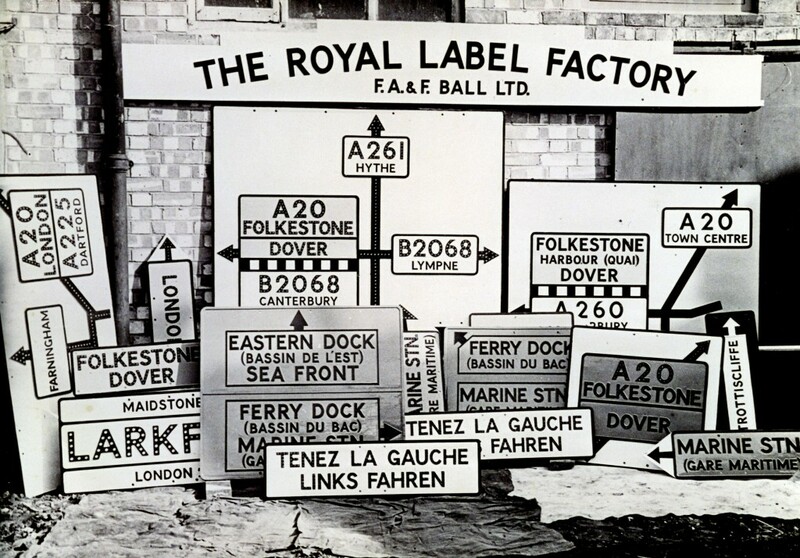 Leander Architectural and The Royal Label Factory (RLF) have always been family businesses, the RLF dating back to 1874 and Leander to 1986. The two businesses merged in 1998. Over the years, many aspects of our work have changed with the advent of computer graphics, laser cutting and etching, but old crafts such as hand-carving in clay and timber are still practised every day. 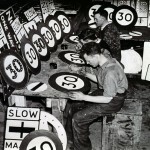 Our foundry now uses electric furnaces, but moulding and casting techniques have changed little over the years, the emphasis being on skill and attention to detail. 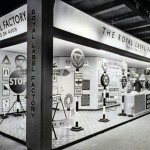 Our basic philosophy has never changed – make products of the highest quality and help customers in every possible way. If you need advice on any aspect of our products or you’d like someone to work with you to create something special, we’d be pleased to help. Our telephones are manned by real Derbyshire human beings and NOT automated answering systems! Leander Architectural itself is the parent company and undertakes all the larger scale architectural metalwork projects as well as providing casting and fabrication facilities for the rest of the group. Foundry, offices and workshops are at Buxton in the Peak District. Typical metalwork projects are public art commissions, glazed canopies and arcades, bandstands and shelters. 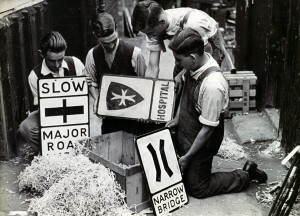 Smaller projects include bespoke street furniture and signage. A large fabrication and assembly workshop allows all but the largest structures to be completely ‘dry-run’ assembled before dispatch. Leander also provides pattermaking and modelling facilities and is the home of the group’s design offices. 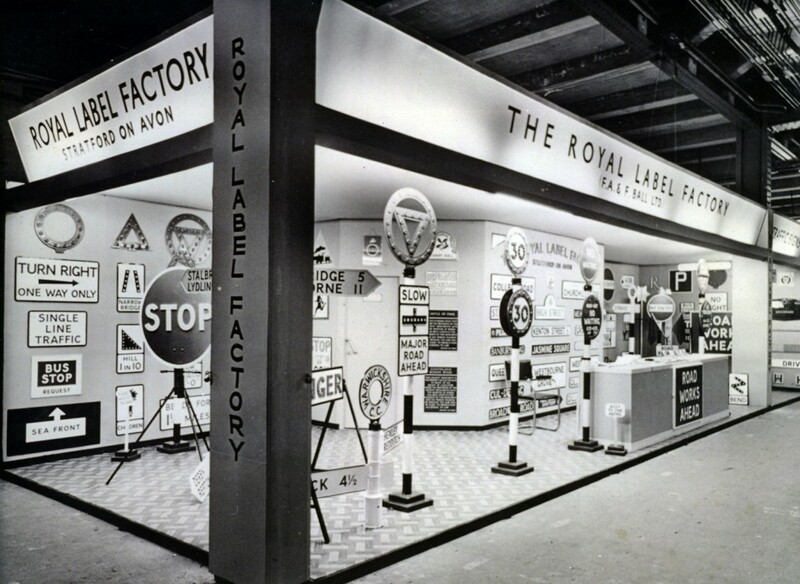 The Royal Label Factory, also based in Buxton, concentrates on traditional signage and retains many of the casting patterns it developed in the 1930s for county and town council signposts and fingerposts. Its history goes back to 1874 and it’s known to have supplied plant labels for Queen Victoria’s Sandringham Estate. 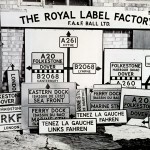 At the height of the cast road sign boom in the early 1950s, the RLF employed 100 people at its then HQ in Stratford-on-Avon. 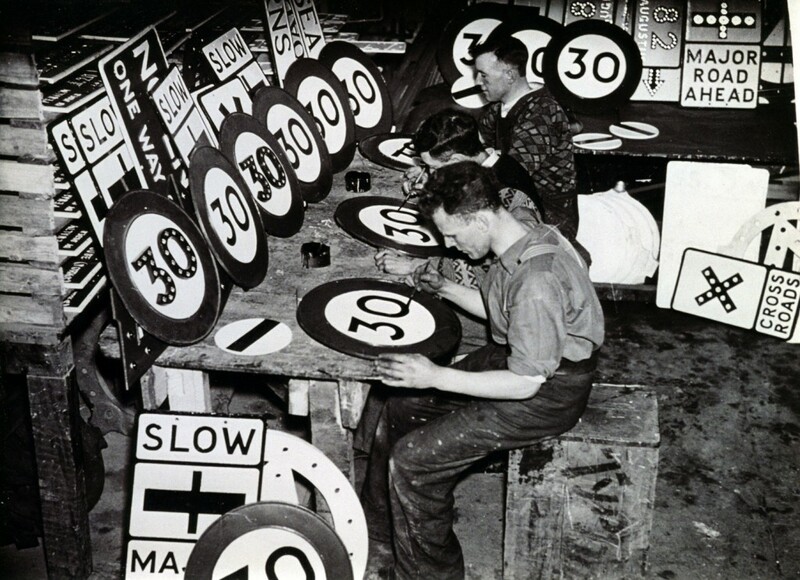 Major elements of the workload also include blue plaques for civic trusts and societies throughout the UK and signs of all kinds for heritage agencies – particularly the National Trust, Historic Scotland and Cadw-Welsh Monuments. In recent years, the RLF has become heavily involved in military memorials – restoring war memorials, adding new memorial tablets and creating one-off memorials and regimental insignia for all branches of the armed forces.